On the weekends I like to do some baking at home. Even better if it is a kid friendly baking recipe! 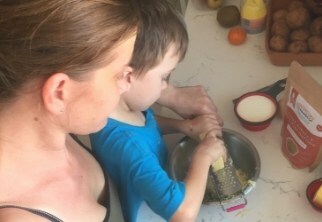 I love a good recipe where I can get my kids involved and helping. 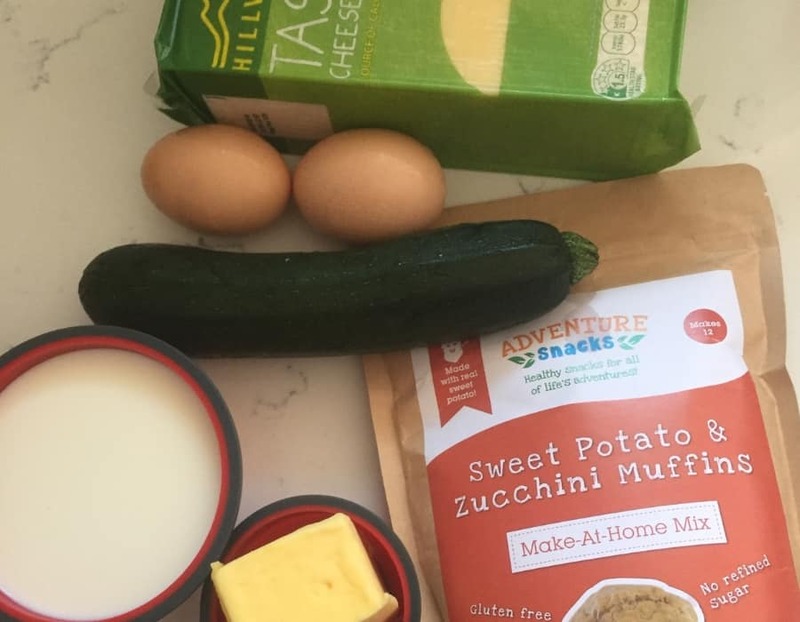 Adventure Snacks has an awesome range of Make at Home mixes which create the easy opportunities to whip up healthy treats for the whole family. The Make at Home mixes are kid friendly baking at their best, you just need the packet and a few ingredients from the fridge and your ready to go. 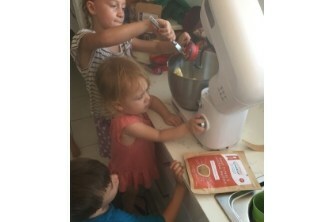 Read on to check out which mix we tried on the weekend and my top 3 tips for kid friendly baking. I will check out all the steps of a recipe and break it into sections and small steps. So each child gets a turn and it is only a small wait time. For example if they need to pour milk into the mix I will help one child measure the milk out (keeping the container steady for them) and then they tip it into the mix – then next child’s turn. It may seem simple enough but kids are curious creatures. I know my kids ask a million and one questions daily. 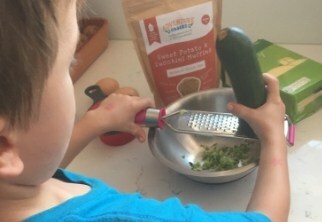 So when I am cooking with the kids I make sure I talk about the ingredients and how much we are using and what we are doing. The obvious danger with kids and cooking is the oven and it being hot. I started baking with my kids when they were around 18 months – 2 years old. We always talked about the oven and it is hot and don’t touch. We used the oven light being on as the indicator for them to know that it is on and hot and don’t touch. Tracey Davidson founded Adventures Snacks in late 2014. Adventure Snacks are striving to make our lives have convenient, nutritious food is easily available to everyone. They use high quality organic and natural ingredients to create great tasting products without the nasties added. They want to help inspire our kids to have a life-long love of real food. 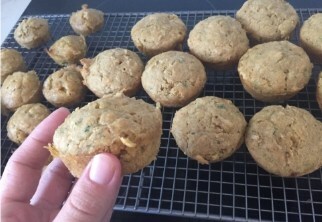 Sweet Potato and Zucchini Muffins! We decided to make these muffins on the weekend and my fussy toddler especially likes them! For the Sweet Potato and Zucchini muffins you will need: a zucchini, one cup of milk of your choice, 2 eggs, 1/3 of a cup of soft butter. You can also add in 1/2 cup of grated cheese and/or 1/2 cup of corn kernels. The Sweet Potato and Zucchini muffins are gluten free, contain organic ingredients, no preservatives, artificial colours or flavours. They also have no refined sugars, no nuts, are quick and easy and lunchbox friendly! How to make the muffins! Step 1: Preheat the oven to 180 degrees. Grate the Zucchini and cheese into a bowl. 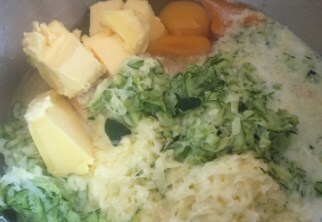 Step 2: Add the Sweet Potato and Zucchini Muffin mix pouch, the zucchini, milk, eggs, butter, cheese/corn (if using) into the bowel of an electric mixer. Step 3: Mix on a medium speed until well combined. Step 4: Evenly scoop out the mixture into a greased muffin tray. Put into oven for 18-20 minutes or until skewer comes out clean. Step 5: Let the muffins cool on a wire tray and then ENJOY! My kids loved making these muffins and then eating them fresh from the oven! My little toddler who is fussy especially loved them. They make an easy healthy lunchbox addition or every day snack that you know is getting healthy goodness into them!